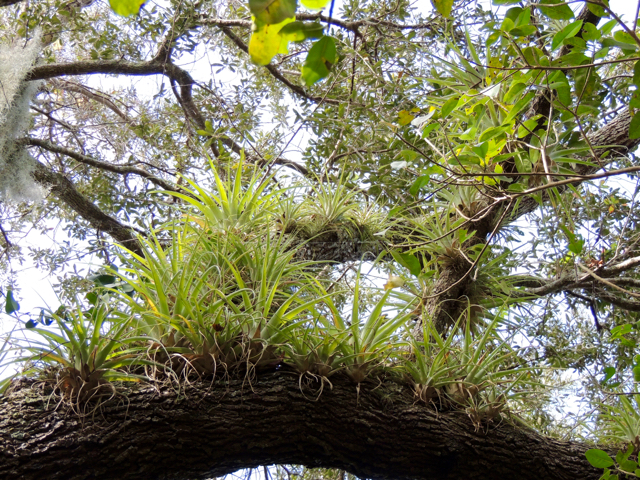 A Virginia live oak limb, Quercus virginiana, supports a community of Cardinal airplants, Tillandsia fasciculata var. densispica, in Chekika hammock in Everglades National Park. "Plants and Other Wilds of the Big Cypress"
We live just an hour's drive from one of the greatest natural areas in North America, unique for its peninsular subtropical flora and fauna and former seabed substrate. 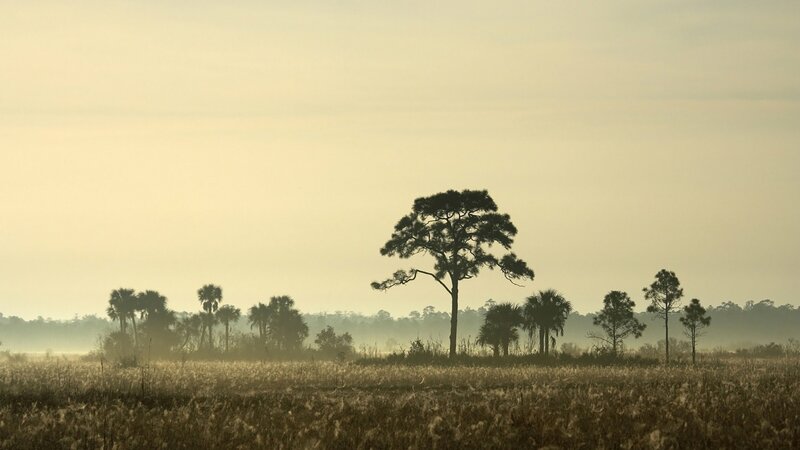 What may at first look like an expanse of grasses, swamps with tree clumps, and stunning sunsets, begins to slowly reveal its extraordinary diversity and beauty as we spend time in the Everglades. 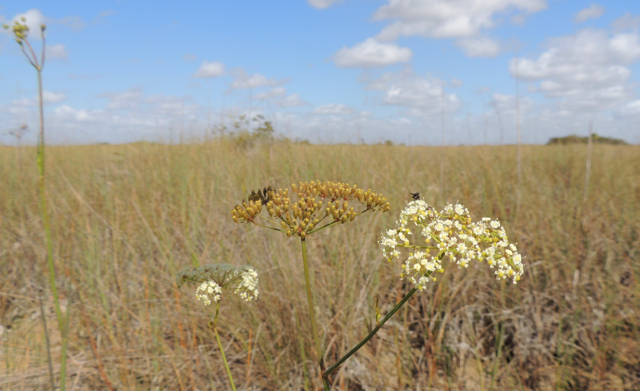 Birds, insects, wildlife, and about 800 native plant species live in Big Cypress Preserve. Unless you have spent years wandering in the Preserve, you miss a lot and understand only a little. Steve Woodmansee is our guide this evening to Big Cypress, the largest and closest preserve of the Everglades. He has a lifetime of field experience in South Florida and knows most, if not all, of its native plant species. He co-authored with Keith Bradley and George Gann the 2002 book of plant inventories of the ten southern counties of Florida, Rare Plants of South Florida. Since then he has written nearly 50 other scientific publications. He served as President of the Florida Native Plant Society, 2011-2014. Treat yourself to a deeper look at Big Cypress and rediscover the beauty and wonder to be found there. We will send you a separate announcement and reminder a few days before this walk so that you know when and where to meet and what you might enjoy on the walk. We routinely send a second announcement, closer to the actual date of a trip as a reminder, unless the field trip is on the weekend immediately following the Wednesday evening speaker. Jimmy Lange, a botanist at Fairchild Gardens, is one of our favorite leaders and one of the few who enjoys identifying grasses as well as other plants. "Getting rid of invasive species is a Sisyphean task, and some ecologists have questioned whether the effort is worth it. Plants and animals that are introduced by humans to new ecosystems are blamed for crowding out natives and disrupting vital interactions, like pollination. But scientists don’t have much data to help them judge whether removing invasive plants really makes a difference to the health of an ecosystem. New findings from the Seychelles, an archipelago in the Indian Ocean, suggest that the hard work (and money) invested can pay big dividends for pollinators—including insects, birds, and reptiles—and for the native plants they assist. Researchers removed nearly 40,000 invasive shrubs from four mountaintop patches on the island of Mahé. 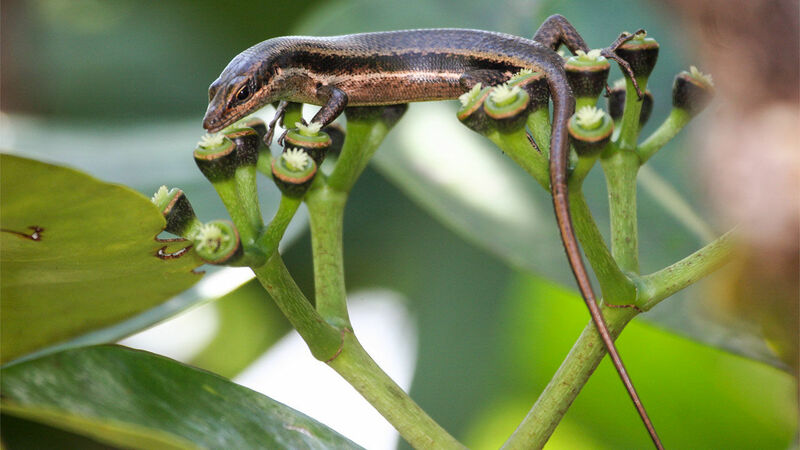 They then carefully monitored the remaining plants for visits from pollinators: bees, butterflies, beetles, birds, and lizards like this skink, which pollinate native Polyscias crassa bushes (pictured). After collecting 1500 hours of observations over 8 months, they found that both the number of pollinators and their interactions with plants and each other were more than 20% higher in the test areas than in control plots (in which the invasive shrubs had been left alone), the team reports this week in Nature . Those extra interactions bore fruit—literally. The native plants in the test plots produced more flowers and more fruit than those in control areas." Friends of Natural Areas, under the Parks Foundation of Broward, is building a partnership of public, private, and charitable organizations who share the goal of saving the floral, faunal, and ecosystem legacy on 3,000 acres of public lands within the urban areas of Broward County. While these many park and preserve lands are "protected", they are grossly neglected, due to a lack of funds or a comprehensive conservation plan. A conservation plan would establish priorities, needs, update species inventories, estimate costs, and recommend methods of conserving the plants and wildlife there. Some properties are as small as two city blocks. Most properties are entirely surrounded by homes and businesses without corridors to other natural areas. The public is largely unaware of the value of these small ecosystems as last remaining examples of Florida scrub and other small and special habitats. They hold our last remaining populations of endemic and rare plants. Local and migrating fauna are often co-dependent with these particular plants for their health and survival. Scientific plant inventories of these conservation properties completed in 2002 established that roughly 500 of the total 750 Broward native plant species are within Broward's relatively small urban parks and preserves. Only 250 species are in the County's great western two-thirds known as the Everglades Management Area wetlands. So the last remaining plants of species that have existed here for thousands of years are largely unknown to the public, but right next door. Some are extraordinarily beautiful. Some are essential to the survival of birds, butterflies, or native bees. All need to be saved for science and for the generations to come. Without question invasive plant species are rapidly decimating these critical natural areas and causing the rapid local extinction of fragile rare plant and wildlife populations. What we do, or fail to do, in the next five years to remove these exotic plant invasions on "protected" lands is critical to saving the natural legacy in Broward County. Based on the cost per acre of the current Broward County invasive removal program (woefully underfunded), $1 million could stop local extinction caused by invasive plants. A well-conceived, dedicated annual maintenance and improvement program of a few hundred thousand dollars would gradually improve upon these gains in the following years. These costs, in the context of Broward's $3.7 billion budget, might be returned if Broward's urban natural areas were a public and visitor showplace of South Florida's historic subtropical beauty and science. Even short of that goal, preventing local extinction is an obligation we owe to future generations and the indigenous species of the planet. The small volunteer task group that is Friends of Natural Areas cannot raise $1 million through its capabilities or associations, but the Broward community can. The Friends have already launched the writing of a comprehensive conservation plan for Broward County that will prioritize and efficiently direct the spending of funds. That plan is being authored by Linda Briggs, Environmental Program Manager of Broward County, and George Gann, Chief Conservation Strategist for the Institute of Regional Conservation, the best conservation talent possible. If you care, do something. Talk with others whom you might influence. We need to tell the public clearly and eloquently through media. We need to interest people who have the capacity to raise $1 million. We need to inform and persuade the Broward Commissioners and public officials that this is a public priority to be permanently funded. If your effort needs coordination with the Friends of Natural Areas, the Parks Foundation, Broward County, or others, contact Richard Brownscombe. We enjoyed the morning at Chekika, an Everglades spot well known to long-time South Floridians who formerly came with friends and families to the artesian well and sulpher springs. The sulpher water rose as an unexpected consequence of oil drilling. Later, park officials capped the sulpher well as unhealthy for the Everglades. Keeping the area safe and clean for the public was expensive, so the park service closed it in 2013. The parking lot floods whenever water is high. Nevertheless, park rangers opened it for our Native Plant Society visit and told us that Everglades National Park is working on a plan of improvements to enable the area to be reopened to the public in the future. It was an opportunity for us to see what nature has done over the past four years without much human traffic. What I first noticed were the low-flying vultures. They seemed to be noting the unusual arrival of our line of cars, and to my mind, flying low enough to see us inside them. The parking lot and skies were dry. A wind was pleasantly cooling and kept any winter mosquitoes away. I misidentified the plant above as Water-hemlock, even while wondering why it had no lush serrated leaves. Patty Phares corrected my error suggesting Water dropwort (also called Water cowbane), Oxypolis filiformis. How I love that my more knowledgeable friends so softly "suggest" corrections, saving me embarrassment. I try to wear my child's mind and not expect that I will know or worry that I don't. Learning means making lots of mistakes. Water dropwort is a nectar and host plant for the Black swallowtail although I only saw small flies and other pollinators busily going from one tiny flower to the next. The Black swallowtail caterpillars feed on the plant. 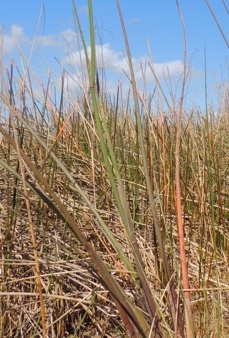 The leaves of Water dropwort are curled to be tube-like or reed-like. Most of the leaves are gray-green, but some are a deep maroon or bright orange (photo at the left). 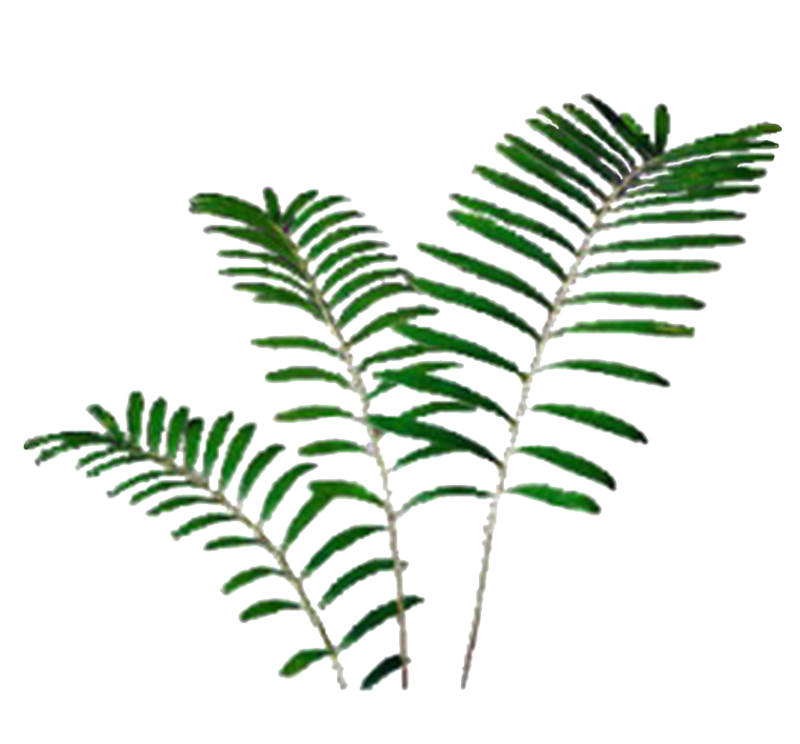 Contrastingly, the leaves of Water-hemlock are bright green (photo at the right) and serrated. 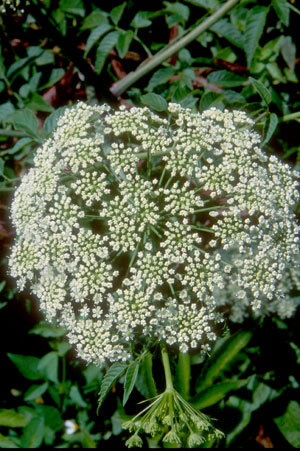 Water-hemlock is not found natively in Dade County, and only rarely in Broward, according to the Institute for Regional Conservation, but is common further north and throughout the United States. Finally, a travel tour planned by native plant people for native plant people! Join us in April 2017 as FNPS travels to northern Alabama to discover the native plants in the Bibb County Glades, the Bank Head Wilderness, Cane Creek Canyon Preserve, Little River Canyon National Preserve and much more. 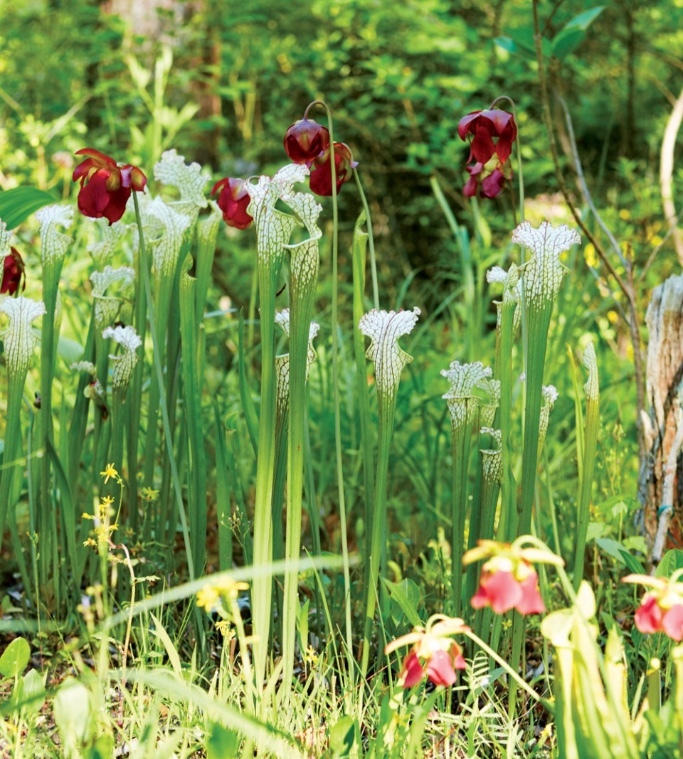 We will be joined by members of the Alabama Wildflower Society (their native plant society) and local, expert native plant guides for six days with two departure points – Orlando and Tallahassee. Indigo Travel Company will donate $100 to FNPS for each member participant. Find out how two school teachers made a huge difference in preserving native habitat, why there is a 56-foot tall statue of a half-naked man in the middle of Birmingham (the largest cast iron statue in the world), and see the effects of recent earthquakes underground! Stay at a 125-year-old abbey. 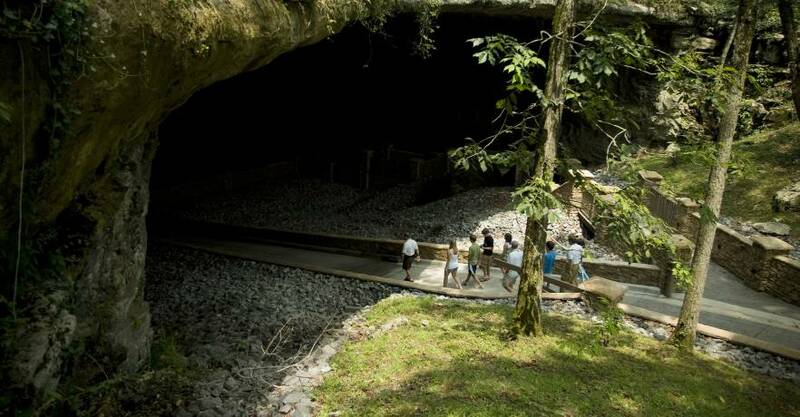 More information, accommodations, pricing, and registration: Devon Higginbotham, FNPS tour coordinator, (813) 478-1183 or indigotravelcompany@gmail.com.